Keep in touch with friends and loved ones via this groovy correspondence card. 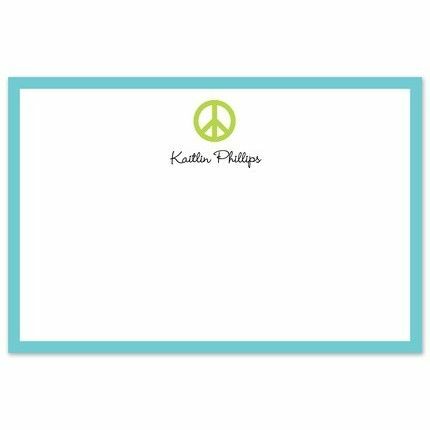 This white card features a lime green peace sign at the top of the card. An aqua blue border frames the entire card to complete the look.